A cashew apple with seed exposed. 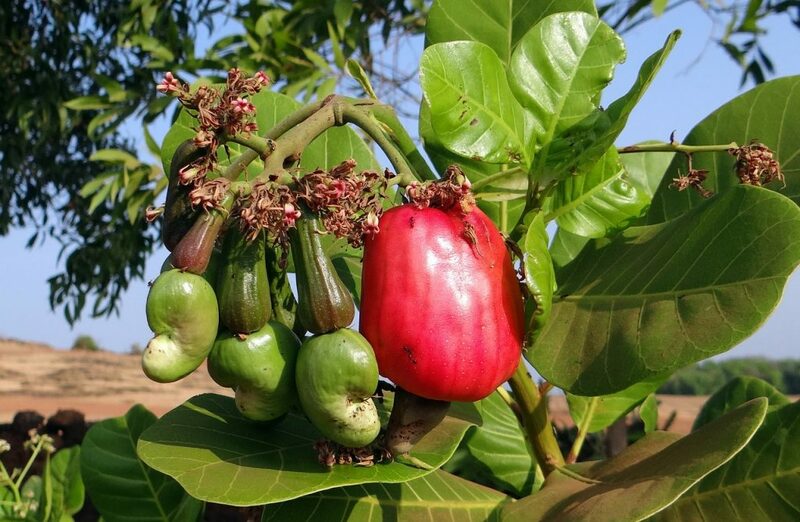 Once upon a time cashew seeds grew inside the cashew fruit, the way many seeds, of course, do. But one seed was not happy with its lot in life. He heard the animals and people happily talking, laughing, and joking in the forest outside his home and wanted nothing more than to be outside so he could join in the fun. He fervently wished it was so and called out in his desire that his wish be granted. Instantly, it was so and the cashew seed was amazed. He saw sunlight for the first time, saw the leaves and trees he lived among, smelled the flowers, and felt the touch of a gentle breeze. And most exciting of all, he saw all the animals of the forest gathering together for a special feast. The cashew nut was overcome with awe and asked if he could stay outside forever. The fairy nodded yes, granted his wish, and walked away. The cashew nut could not believe his good fortune and enjoyed himself the entire first day, never once thinking about what was once his comfortable home. But by nightfall, the weather changed. Dark clouds started to form, the air became cold, and all the animals hurried off for shelter before the raindrops started to fall. All but the cashew nut—he couldn’t go home! The rain pelted his skin and the wind howled. The cashew clung to the outside of the fruit for dear life while the tree branches were flung to and fro. He cried out in fear and begged the fairy to come back and let him go back inside. But she didn’t return until morning. 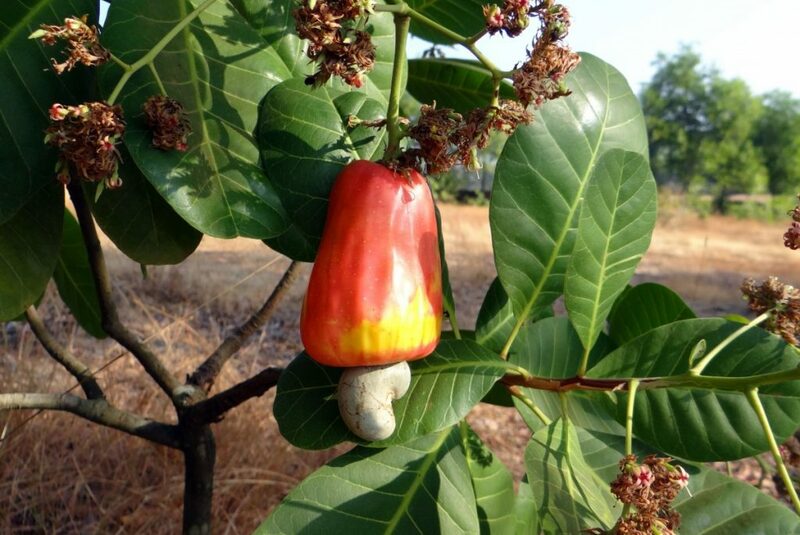 The cashew nut eventually grew a hard shell filled with an irritating chemical to protect itself. It lives outside in places of tropical splendor and, one can only hope, that it found ways to appreciate its life in the trees in the outside world. Here at Maisie Jane’s we are grateful for the cashew! Cashews are delicious and have become one of the most popular nuts on the planet. Not only that, they’re good for you! Like almonds, walnuts and pistachios, cashews are a good source of protein, vitamin E and minerals like magnesium and zinc as well as being full of healthy unsaturated fats. They do have more saturated fat than almonds but it’s not a huge difference. When eaten in moderation (like all nuts should be), they are a delightful and useful addition to any healthy diet plan. At Maisie Jane’s we offer cashews in several forms. Roasted, salted cashews are a popular choice. But have you tried our Organic Curry Spice Cashews? YUM! They’re addictively good. And our Organic Honey Glazed Cashews and Organic Dark Chocolate Sea-Salted Cashews are such wonderful treats. Eat them on their own or mix them with your choice with our other chocolate or flavored nuts. You really must try them all! 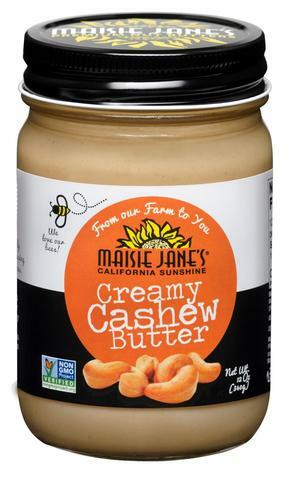 And then there are our award winning Cashew Butter choices: creamy natural or organic. Mild and naturally sweet but with a distinctive savory flavor, it’s a wonderful ingredient to use in so many recipes, it really ought to be a staple in your house if you like to cook! And if you’re vegan looking for dairy-free alternatives, that goes double. But if you like it sweet, try our Organic Sea Salted Caramel Cashew Butter. Oh, wow. That’s all I can say. Drizzle some on a waffle or muffin and serve with fruit, spoon it onto chocolate ice cream, or let it inspire you to create to new heights of culinary creation. The wonderful versatile delicious cashew! I encourage you to branch out and try some today.